It should have been a great week for the Irish Lottery, with the largest jackpot (12 million euros) for 18 months up for grabs. However, things didn’t run entirely smoothly in the run-up to the Wednesday night draw. Premier Lotteries Ireland (PLI), which runs the Irish Lottery, confirmed in a statement that it suffered a distributed denial-of-service (DDoS) attack that knocked its website offline and made it inaccessible to gamblers for some hours. Furthermore, ticket machines also stopped working as a result of the DDoS attack, disrupting ticket purchases. Denial-of-service attacks against gambling websites are far from unusual. In fact, they are commonly targeted by online extortionists who attempt to blackmail money out of website owners, threatening to blast sites offline (and thus prevent gamblers from handing over their cash) if the ransom isn’t paid. There has been no confirmation from PLI that it received any communications from the DDoS attackers, but frankly it wouldn’t be a surprise. Of course, if you do make the mistake of giving in to the DDoS blackmailers, all you have done is confirm with the criminals that you are prepared to cough up cash. So don’t be surprised if they come back later and demand more money. The pressure on companies running national lotteries is possibly enhanced by the fact that there are often regulators keeping a beady eye on the reliability, trustworthiness and resilience of the organisation running the lottery – often wieldy hefty financial penalties or even the option of taking away a lottery license if they feel that standards are not being maintained. As the Irish Times reports, lottery operator PLI found itself in hot water last February when up to 3,500 ticket terminals went down for several hours in the run-up to a Wednesday night draw. That outage was blamed on telecoms provider Telefonica, and forced the midweek draw to be deferred for the first time in its history. Clearly the Irish Lottery won’t want to be seeing a repeat of this week’s attack and will be keen to deflect future DDoS attacks that might disrupt its operations. 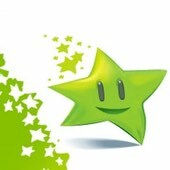 Sure enough, when I visited the Irish Lottery website this morning, I found that it was using the CloudFlare DDoS mitigation service in an attempt to determine whether computers connecting had malicious intentions or not. It remains to be seen whether the Irish Lottery has done enough, or if online criminals will attempt another attack in the build-up to future draws. But one thing is clear – we can all do our bit to help reduce DDoS attacks. Distributed denial-of-service attacks typically involve the use of hijacked computers, recruited into botnets after being compromised with malware to do the bidding of malicious hackers. Keep your computer protected with layered defences such as up-to-date anti-virus software and security patches and you can reduce the chance that you own one of the computers which is trying to bring down the websites of innocent companies.